All photographs by Joe Hancock for F+W Media, Inc. Used with permission. Last week I spent a whole afternoon with my knitting friends, something I haven't done in three years. I missed them so much! We sat around the table at the middle of the yarn store and worked on our projects, chatted, ate candy, swooned over each other's work, and planned our next yarn purchases. One of my friends, Renee', was working on a beautiful shawl and I came home dreaming of making my own someday. Galax Shawl by Carol Feller on the cover. 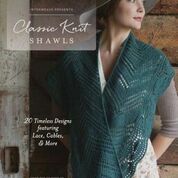 At home, I remembered receiving for review the book "Classic Knit Shawls - 20 Timeless Designs Featuring Lace, Cables, & More", published by Interweave. Wait until Renee' sees these shawls! The contributors to the book - designers with a long history of creating and publishing knitwear - delight us with a wide array of possibilities: intricate designs, simple stitches with lacework accents, medium weight or lace yarn, one or many-colored versions... it is all in there. Madeleine Shawl by Courtney Kelley. 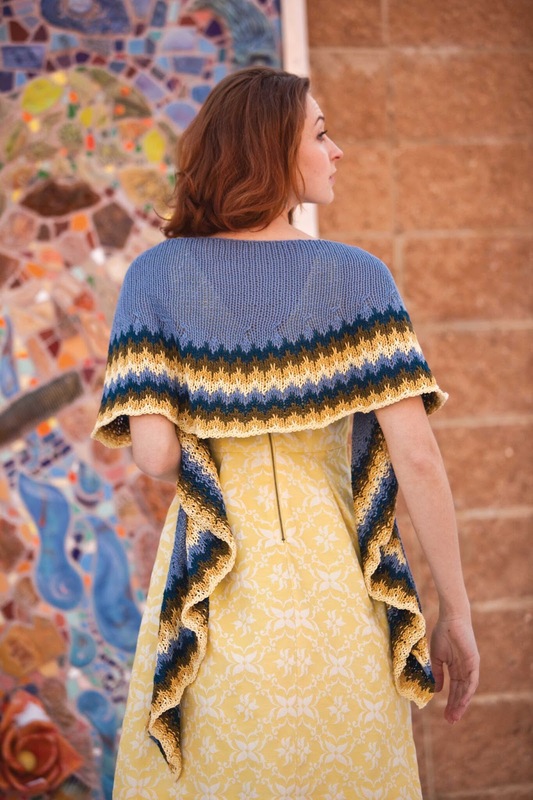 The gorgeous photography shows how shawls can be worn to accent any outfit, not only as a functional apparel. Lace designs add romance to a summer dress or complement an evening gown, bright colorwork lends dimension to a monochromatic dress or winter palette, and garter stitch (with lace edgings) warms and turns formal into sassy. Impasto Shawlette by Susanna IC. Lindsay Sawl by Tabetha Hedrick. Grand Army Plaza Shawl by Melissa Wehrle. 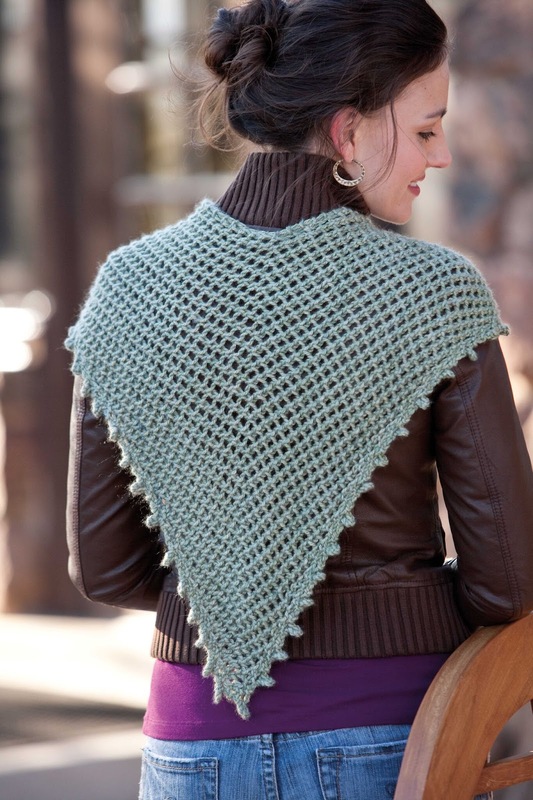 For those of us who have never knitted a shawl, the 'Shawl Techniques' section at the beginning of the book details the different types of shawl construction (triangles, semicircles, crescents, etc. ), suggests best cast-on and bind-off techniques for shawls (with diagrams in the Glossary section), as well as finishing touches and how we should care for them. 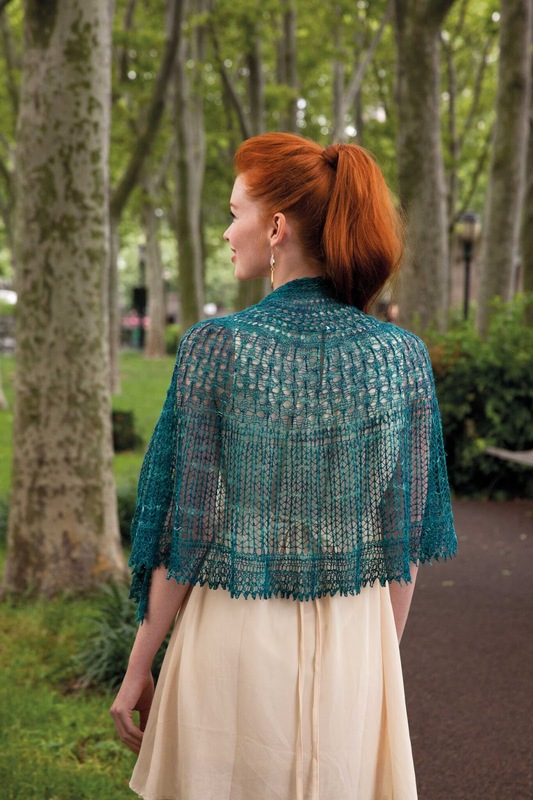 Enid Laceweight Shawl by Lucinda Guy. 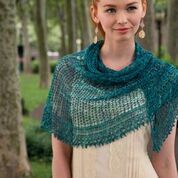 Classic Knit Shawls is a great addition to my knitting library with shawl designs sure to withstand the test of time. I will be toting this book to the yarn shop next week when I meet my friends again - I can already hear the oohs and aahs!